Mexico’s natural beauty never ceases to amaze me. There are so many hidden gems scattered around, most of the time they’re unknown to mainstream travel guides and maps. The states of Baja California, for example, are full of natural preserves, hot springs, oasis, canyons, rivers, sand dunes, coastal surf heavens, diving spots, coral reefs, pristine beaches and many areas for hikers, climbers and day-picnic lovers…but its hard to find any pictures or information about them online! Often you arrive at them through word of mouth, by talking to the locals – and finding them is always an adventure. I’ve lived and vacationed in this area for many years, and had recently heard rumors of a huge “Cascada,” a waterfall, just a couple hours drive from the US-Mex border. 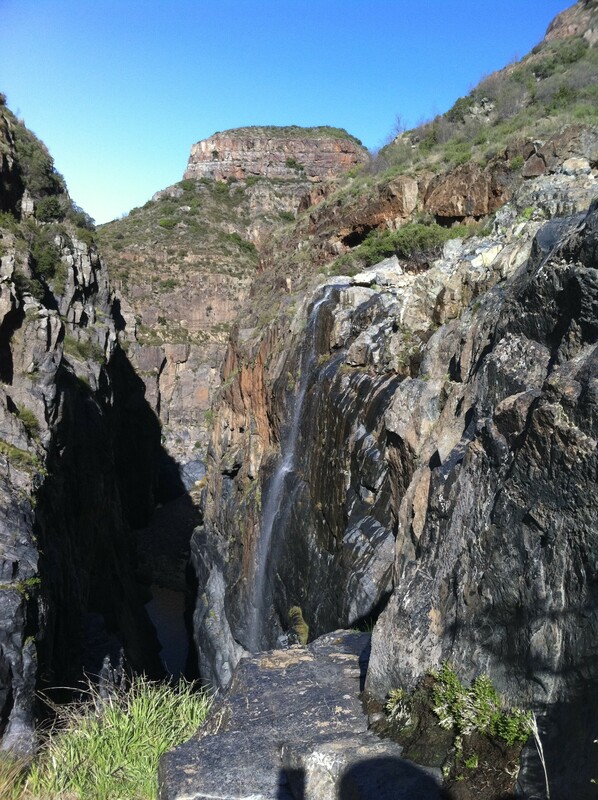 Excited, I finally set out to find the famous waterfalls at El Salto. El Salto (the jump) is a beautiful canyon just off the Tijuana – Ensenada Libre Highway at KM 76. When you first arrive at the entrance, someone will come to greet you. Entrance is about $2 USD a person for the day, or if you plan on camping, the cost $4 USD a person. If no one comes out, you can go and knock on the little house where the manager lives. If you are there just for the day, you will need to park your car at the entrance and walk down to the trail. The hike itself is relatively easy, and is only about half a mile in to reach the waterfall. You can increase the difficulty of the hike by going over the creek and climbing the giant boulders that are lying around everywhere. The dog can come this way as well, but watch out…you might get wet! You will know when you’ve reached the waterfall when you see the canyon and its dark lava rock formations. Once there, you can climb down and play in the water, or set up your ropes and rappel. The hooks are easy to locate. For a quick side trip, visit Ensenada, 20 minutes south on the same highway. 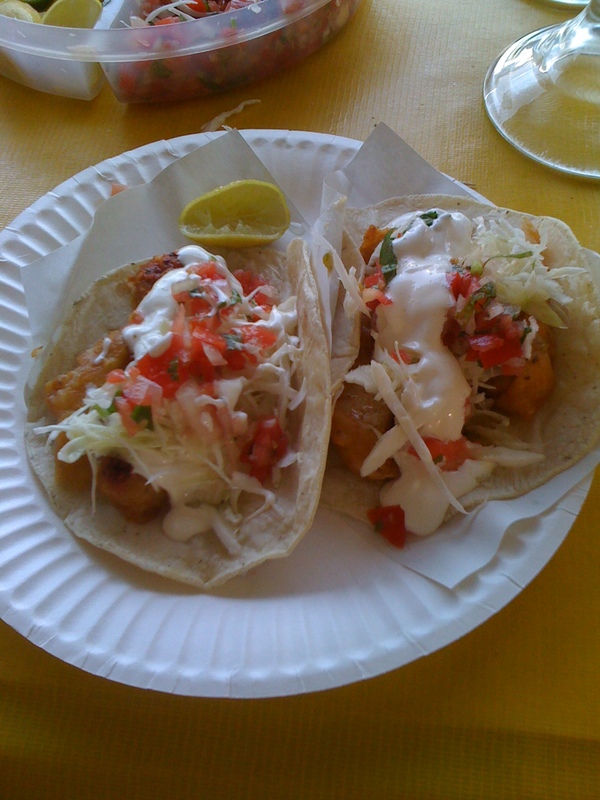 This coastal city is famous for its fresh and delicious fish tacos! Since we were in town, we decided to grab a quick bite. These tacos alone were well worth the 2 hour drive from the US-MEX border! 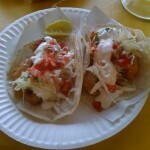 The best part is that the fresh fish tacos were only $1 a piece from the fish market taco stands by the docks. (View Map on Google) Delicious. If in season, you can charter a boat to take you out for whale watching or fishing from there as well. During the day you can catch the sea lions and pelicans hanging out by the boats. Ensenada has many bars, restaurants and souvenir shops, so a detour there could fill up an entire day by itself! i was there in april 2012 great place to camp, and cheap. It is seriously intriguing, You’re a quite talented blogger. I’ve joined your rss feed and glance forward to searching for far more of your fantastic submit. Additionally, I possess shared your web site in my sociable networks! 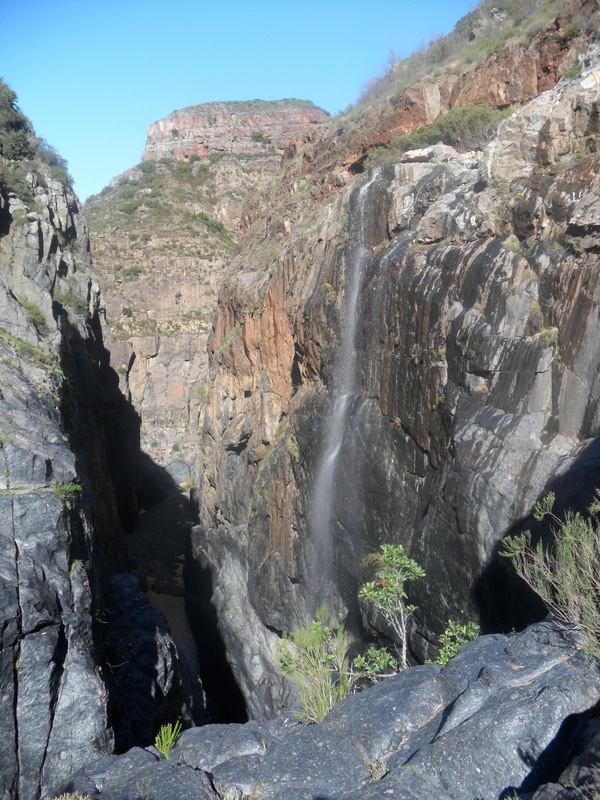 If you plan to visit this beautiful place you may want to contact http://www.bajaexcursions.com it is a local company that offers rapelling and canyoneering services in that area, they will guide you safely to the inside of the canyon where you will see the waterfalls from a unique perspective. I have been here before and this place rocks!